For its health benefits and the array of dishes it can blend into, radishes have always caught my attention. Since it is low in calories and high in nutrients, radish forms a good salad component. 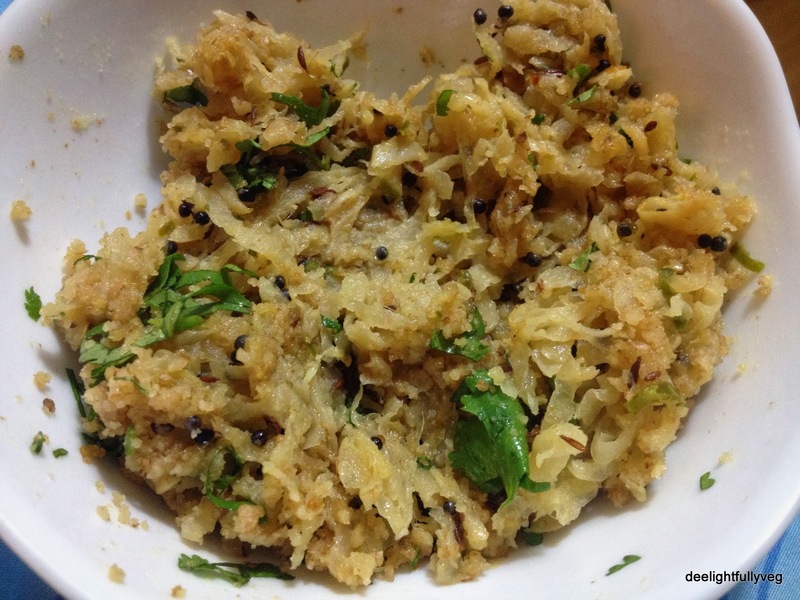 This is a crisp and spicy cooked salad which goes amazingly with daal & rice or rotis. The unusual combination in this salad turned out to be the ground walnut toppings which added the nice crunch to the whole dish. This recipe is definitely featuring on my repeat list. Heat oil in pan and add asafoetida and cumin seeds. I used olive oil for preparing this dish. 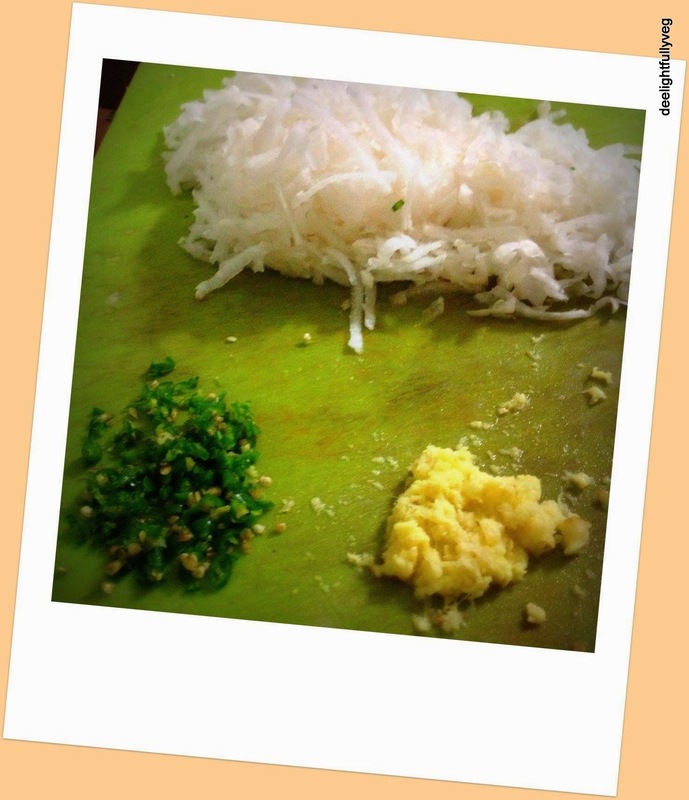 When the cumin seeds splutter, add freshly chopped green chillies and grated radish. Stir fry these ingredients for 3 mins on a high flame. The radish by nature will release moisture as it cooks. Keep stirring till all the moisture is removed. At this stage, add salt and grated ginger. Stir fry for another 3 mins. Move the cooked radish into a bowl and let it cool down slightly. Add chopped coriander, crushed walnuts and lemon juice (optional) at the end. This can be served hot or cold. Keep continuously stirring the radish in the initial stage. Make sure your walnuts have not expired since most of the times they would have just been lying around for ages.